Powersolve Electronics Ltd., is part of the XP Power PLC Group of companies. We offer one of the most comprehensive power supply product ranges available from any one single supplier. The company has been trading since 1987 and has a wealth of experience in the power conversion market. Based in Newbury we have a modern 15,000 square feet sales and engineering facility, where we hold around £1.5 to £2 million worth of power products stock. 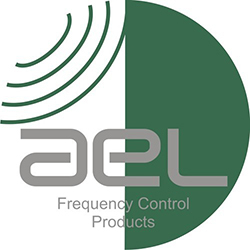 Our AC-DC standard product range includes Plastic Encapsulated AC-DC Converters, Low Cost Commercial Switch Mode Power Supplies, Modular Configurable Power Supplies up to 3000 Watts, Voltage & Current Programmable Power Supplies, Industrial DIN Rail and Rack Mounting units up to 22kWatts, Battery Chargers and External Power Adaptors and much more. Many models also carry Medical Safety Approvals, in addition to the usual international approvals. The DC-DC Converters include PCB mounting versions from 1 Watt to 60 Watts, vehicle DC-DC Power Adaptors, Point of Load Switching Regulators up to 100 Amps, High Density DC-DC Power Modules up to 700 watts. High Power Chassis Mounting, Sub-Rack and Rack mounting DC-DC converters are also available with power ratings up to 22kWatts. We have our own range of online sine wave uninterruptible power supplies that can be either rack mounted or operated stand alone. These are industrial quality products and feature plug in easily removable battery packs which can be replaces whilst the UPS is still in operation which removes the need for down time when doing routine battery replacement maintenance. These products are available in power ratings from 1000 to 6000VA. Other power products include DC-AC inverters both Quasi and True Sine Wave with power ratings from 150 Watts to 30kWatts, frequency converters, inrush current limiters for LED lighting etc, professional USB hubs for charge and sync applications. In addition to our very wide range of standard power supplies we have in house engineering capabilities to both modify standard, or design complete custom solutions to our customer’s power supply requirements. Manufacturing is done through either in the UK for small quantities or in the Far East, where the volumes are high enough to make this viable. 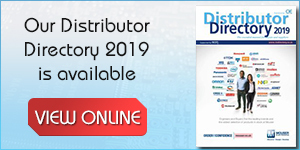 With our vast product offering and years of experience in the Power Supply Industry it is rare that we are not able to offer a product against a customer’s power requirement. We are able to work with the development engineers from design concept to final production, offering advice on the most suitable and cost effective product for application. We take into consideration electrical requirements, operating temperature, cooling and mechanical constraints before offering any product. EMC test facilities are also available in house to do any pre-compliance conducted EMC testing with our product in the customer’s equipment, should this facility be required. Once the power product has been supplied it is backed up by a minimum of 12 months, factory based, parts and labour warranty period, with some models available with up to a five year period. Any product which fails during this period is either replaced or repaired depending upon the nature of the defect. Full details on our product range can be found on www.powersolve.co.uk. All products are manufactured in ISO9001 approved facilities and meet full safety and EMC requirements.